It’s official….we are obsessed with anything and everything Logan. Even her cry is something we enjoy. Wait, that sounds bad…we just love everything about her. 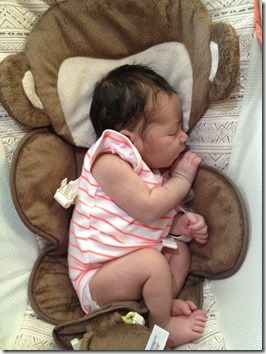 She was sleeping so sweetly hanging on to her monkey. She looks like she is freezing, but she was covered up. I just had to show all the cuteness of her body. All covered up (no it’s not a blanket, but it sure worked as one…the Hubs uses what he can find). Passed out after round one of marathon eating. I am working on Logan’s birth story. It’s really long and very difficult for me to write and I will post it at the right time. I love her little monkey seat! 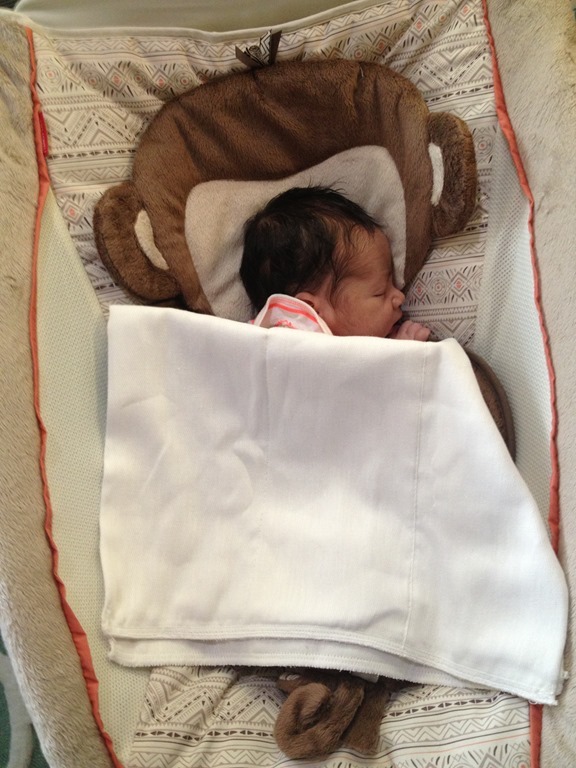 And, those diapers…I mean burp rags are huge! Glad they are getting some use. Take your time with your birth story! 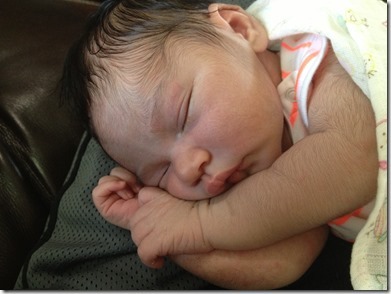 I seriously cannot wait until Friday, when I finally get to meet her! 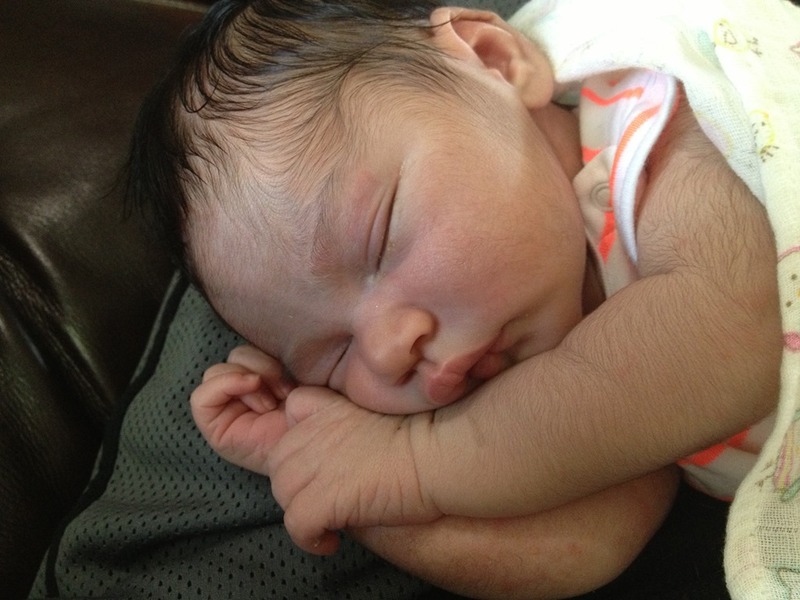 She is adorable!!! Congrats again to you and David! The little monkey seat is so cute! 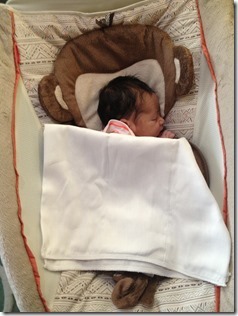 She is so adorable – and that monkey! The cuteness!